The scientific/medical test confirming any alleged diagnoses of psychiatric disorder and the right to refute any psychiatric diagnoses of mental “illness” that cannot be medically confirmed. The right to be informed of all available medical treatments which do not include the administration of a psychiatric drug or treatment. The right to refuse any treatment the patient considers harmful. 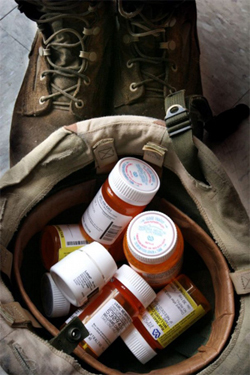 Courts have determined that informed consent for people who receive prescriptions for psychotropic (mood-altering) drugs must include the doctor providing "information about…possible side effects and benefits, ways to treat side effects, and risks of other conditions…," as well as, "information about alternative treatments." What is the evidence for the diagnosis? How does the treatment affect the body? How does the treatment affect the mind? What unwanted effects may occur? Is it approved by the FDA for your condition? What is known and not known about how safe it is and how well it works? What are the alternatives, including the option of no treatment? Does your doctor or the clinic have a financial interest in pushing the diagnosis or treatment? Yet psychiatrists ignore these requirements. Recognize that the real problem is that psychiatrists fraudulently diagnose life’s problems as an “illness”, and stigmatize unwanted behavior or study problems as “diseases.” Psychiatry’s stigmatizing labels, programs and treatments are harmful junk science; their diagnoses of “mental disorders” are a hoax — unscientific, fraudulent and harmful. All psychiatric treatments, not just psychiatric drugs, are dangerous. If you are taking any of these drugs, do not stop taking them based on what you read here. You could suffer serious withdrawal symptoms. You should seek the advice and help of a competent medical doctor or practitioner before trying to come off any psychiatric drug. This is very important. Citizens Commission on Human Rights does not offer medical advice or referrals but provides this information as a public service in the interest of informed consent. Download and read these various booklets to get the truth about psychiatric drugs, so that you can exercise your right to fully informed consent. Click here to download and read the CCHR report "Psychiatric Drugs: Create Violence & Suicide — School Shootings & Other Acts of Senseless Violence." For more information about psychiatric drugs and how they cause violence and suicide, download the booklet Psychiatric Drugs Create Violence and Suicide. There is overwhelming evidence that psychiatric drugs cause violence. For the evidence, download and read The Link Between Psychiatric Drugs and Senseless Violence. Psychiatrists cannot predict violent behavior, let alone cure it. 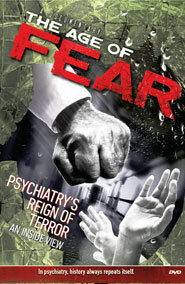 Download and read Psychiatrists Cannot Predict or Cure Violence. For more information about Ritalin (methylphenidate), download the booklet The Truth About Ritalin Abuse. For more information about anti-anxiety drugs such as Ambien (zolpidem), Ativan (lorazepam), BuSpar (buspirone), Centrax (prazepam), Dalmane (flurazepam), Doral (quazepam), Equanil (meprobamate), Halcion (triazolam), Klonopin (clonazepam), Lexotan (bromazepam), Librium (chlordiazepoxide), Placidyl (ethchlorvynol), Prosom (estazolam), Restoril (temazepam), Rozerem (ramelteon), Serepax (oxazepam), Sonata (zaleplon), Tranxene (clorazepate), Valium (diazepam), Vistaril (hydroxyzine), Xanax (alprazolam); download the booklet Antianxiety Drugs — the facts about the effects. 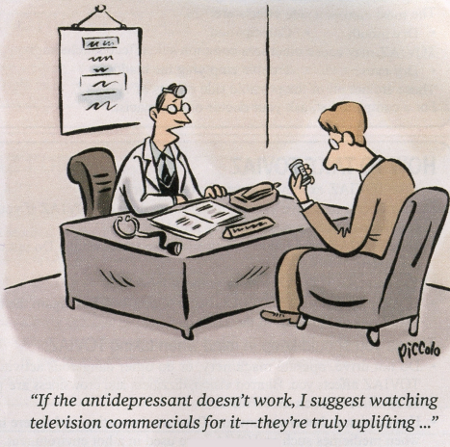 For more information about anti-depressant drugs such as Celexa (citalopram), Lexapro (escitalopram oxalate), Luvox (fluvoxamine), Paxil (paroxetine), Prozac (fluoxetine hydrochloride), Seroxat (paroxetine), Zoloft (sertraline hydrochloride), Cymbalta (duloxetine), Effexor (venlafaxine), Pristiq (desvenlafaxine), Strattera (atomoxetine), Wellbutrin (bupropion); download the booklet Antidepressants — the facts about the effects. For more information about psychostimulants such as Adderall (amphetamine and dextroamphetamine), Benzedrine (amphetamine), Concerta methylphenidate hydrochloride), Cylert (pemoline - removed from the market), Daytrana (methylphenidate - skin patch), Desoxyn (methamphetamine), Dexedrine (amphetamine sulfate), Dextrostat (dextroamphetamine sulfate), Equasym (methylphenidate), Focalin (dexmethylphenidate), Metadate (methylphenidate hydrochloride), Methylin (methylphenidate hydrochloride), Provigil (modafinil), Ritalin (methylphenidate), Vyvanse (lisdexamfetamine); download the booklet Psychostimulants — the facts about the effects. For more information about mood stabilizers such as Lithium, Depakote (sodium valproate), Depakene (sodium valproate), Lamictal (lamotrigine), Lamictin (lamotrigine), Lamogine (lamotrigine); download the booklet Mood Stabilizers — the facts about the effects. For more information about fraudulent psychiatric diagnoses such as ADHD, Bipolar Disorder, and Schizophrenia, click here. Recent news is full of articles about making marijuana legally available for those diagnosed with Post-Traumatic Stress Disorder (PTSD). For more information about marijuana, download this booklet. Click here to read some of the current research about how some people cannot metabolize psychiatric drugs and are therefore susceptible to their horrific side effects.